The rise of populism in the West and the rise of China in the East have stirred a rethinking of how democratic systems work—and how they fail. The impact of globalism and digital capitalism is forcing worldwide attention to the starker divide between the “haves” and the “have-nots,” challenging how we think about the social contract. 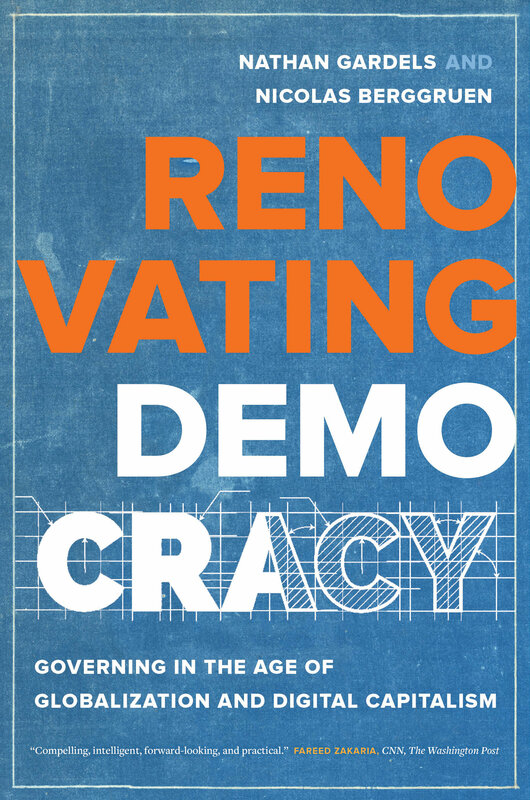 Thought provoking and persuasive, Renovating Democracy serves as a point of departure that deepens and expands the discourse for positive change in governance. Nathan Gardels is Cofounder of the Berggruen Institute and Editor-in-Chief of The WorldPost, a partnership with the Washington Post. He is the coauthor of Intelligent Governance for the 21st Century: A Middle Way between East and West, a Financial Times best book of 2012. His previous books include American Idol after Iraq, The Changing Global Order and At Century’s End. Nicolas Berggruen is Founder and Chairman of the Berggruen Institute. He is coauthor of Intelligent Governance for the 21st Century: A Middle Way between West and East and is copublisher of The WorldPost. He is also Chairman of Berggruen Holdings. 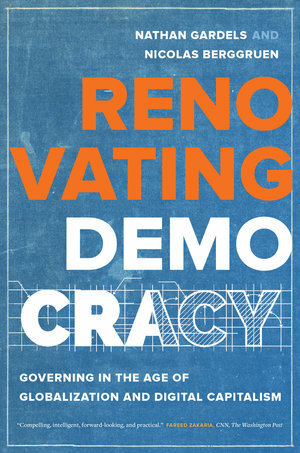 "Brilliantly explains our contemporary quandaries, proposes bold solutions, and, lays down the foundations for reinventing good governance. A must-read for all—citizens and experts." —Kishore Mahbubani, National University of Singapore, founding Dean of the Lee Kuan Yew School of Public Policy, author of Has the West Lost It?